HUMAN CAPITAL services are integral to the holistic approach Advance has towards its clients. Advance Corporate Advisors recognises that transformation goals are about more than just numbers. Getting people to work together in an organisation undergoing racial and gender transformation means simultaneously recognising that diversity is more than skin deep. Individual leadership styles need to be recognised and developed. Coaching is a process of harmonizing the different leadership styles with the change process. It is about getting people to work in the agreed direction of change without having to change the people. Advance Corporate Advisors offers both off-the-shelf accredited team and leadership effectiveness programs, coach training programs, and bespoke leadership development programs. We offer specialist training (public and in-house), and solutions development for all social sustainability and compliance aspects of business, including BEE, economic development, local content, job creation, socio-economic development (“SED”), enterprise development and supplier development. We also offer training on the socio-economic and BEE obligations made by concession companies for public-private partnerships (“PPP”) and other South African government concessions. 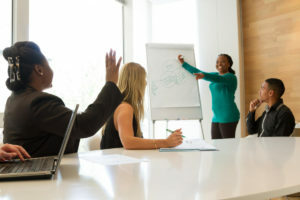 These are often unique to specific concessions and due to the participating by international bidders, who often have no knowledge of the South African regulatory environment, Advance Corporate Advisors has built specialist capabilities in offering training to the bid team, both in South Africa, and in the multinational home country. Diversity of human capital lies at the heart of any successful organisation. To build a thinking and innovative company, divergent views and and opinions make for better and more sustainable policies and growth strategies. workplace is what Advance Corporate Advisors has experience in delivering. Global best practice requires a significant amount of payroll to be spent on skills development of employees and management in a company. In South Africa, skills development legislation requires mandatory compliance therewith, and the current and latest BEE legislation has added an extraordinary level of complexity. 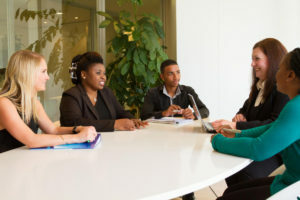 Advance Corporate Advisors is able to advise corporates about their skills development strategies and how they relate to the transformational and growth strategies of the company, as well as assist in maximising the degree of compliance of skills development spend in relation to the Amended B-BBEE Codes of Good Practice. Do our Human Capital Services interest you?